Nearly five years after the passing of a law regulating the leasing of vacation homes in Dubai, the emirate's 'holiday homes' market has significantly grown with 10,766 active listings registered on the Airbnb platform, a new report from Knight Frank showed. The active listings are part of a total of 20,395 properties registered on the home-sharing platform. Dubai’s holiday home market accounts for 2.0 per cent of the total households, the highest proportion of all other key global hub cities. Of the 10,766 active listings in 2018, 61 per cent were entire homes or apartments, 31 per cent were private rooms and the remaining 8 per cent were shared rooms. In Knight Frank’s Holiday Homes 2016 report, it noted that the vast majority of holiday home supply was located in Dubai Marina, the Palm Jumeirah, Jumeirah Beach Residence (JBR), DIFC and Downtown Dubai. As of 2018, these submarkets have a far higher density of holiday home units compared to 2016, the firm has started to see short term rental accommodation appearing in new districts east of Sheikh Zayed Road and in the more historic parts of Dubai north of Za’abeel Park. One of the major appeals of short term rentals in relation to hotels specific to Dubai is the widespread availability of ancillary amenities such as swimming pools and gyms in residential buildings. Unlike other cities where such amenities are not commonplace in residential buildings, their widespread availability narrows the gap in product offering between the two product types. 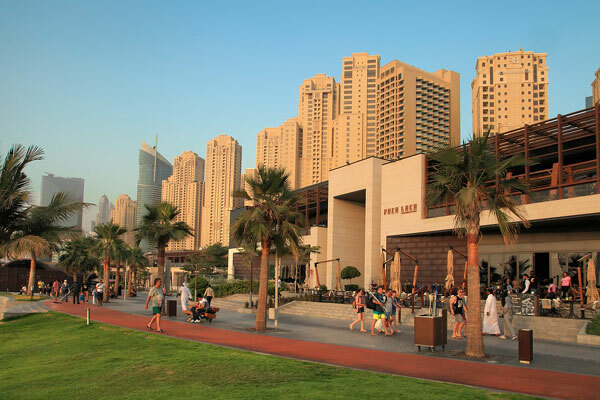 "From the perspective of annual seasonality, the holiday home market is somewhat in-line with the Dubai-wide hotel market where demand tends to be strong at both the start and end of the year, and dips during the summer months. Where the figures differ however is within the magnitude of change, as monthly holiday home performance tends to exhibit greater seasonal variance than traditional hotels," said Taimur Khan, research manager.